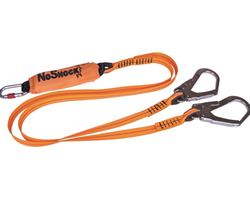 Pioneers in the industry, we offer full body safety belt, shock absorbing webbing lanyards, shock absorbing rope lanyards, rope ladder with wooden rags, rope ladder with aluminum rags and roof top ladder from India. We are known for creating a wide range of innovative and sustainable products for the industrial markets among which Safety Lanyard stands on its design, strength and reliability. Our provided safety belt is designed by using superior quality basic material and progressive technology under the vigilance of skilled professionals. Apart from this, our offered safety belt is highly demanded to protect people from a height. We provide this safety belt to our clients in variegated sizes and specifications at industry leading prices. This Webbing Lanyard is finely finished and is known for their ability to provide optimal protection. Safety Belt helps in protecting workers from life-threatening hazards at the workplace. With the sincere intentions to preserve and uplift our reputation in the industry, we are offering a broad array of Shock Absorbing Webbing Lanyards. Our skilled professionals design these webbing lanyards using supreme quality basic material and advanced technology in sync with industry standards. Apart from this, these webbing lanyards are inspected under the guidance of our quality examiners so as to ensure their quality. 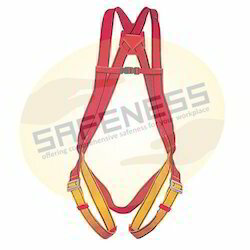 Fall Protection Safety Belt is available in customised styles and colours as per customer’s demand. We have over two decades of vast industrial knowledge and experience in producing superior quality Safety Lanyard. The offered rope lanyards are manufactured using the best quality basic material and progressive technology in adherence to industry norms. 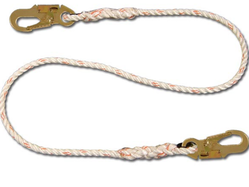 Our provided rope lanyards are available in varied designs and sizes as per the needs of our clients. Furthermore, these rope lanyards are highly acknowledged for their high strength and smooth finish. With more than two decades of experience in the field of Industrial Safety Products, we have emerged as a respectable leader for the supply of Rope Ladder. 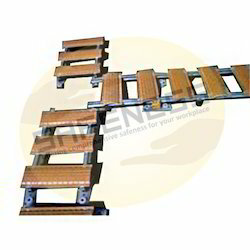 It is Designed as per the demands of our clients, this ladder is highly acknowledged in the market. The offered ladder is manufactured by our skilled professionals using the best quality raw material and innovative technology in adherence to industry norms. Moreover, clients can avail this ladder from us at market leading prices. 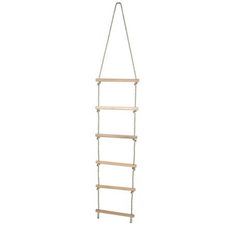 We offer the extensive and comprehensive range of Rope Ladder. 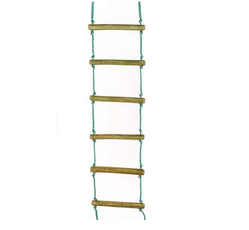 Aluminium Rags Rope Ladder is used in work areas which are prone to higher risk of accidents. The product Rope Ladder With Aluminium Rags is designed keeping in mind all innovative approaches to workforce safety and demands, made by industries worldwide. In addition, we offer a varied range of Rope Ladder with Aluminium Rungs which are being widely used in industries like Metallurgical, Steel, Aluminium, Power, Energy, Petrochemical, Oil & Gas, Glass, Chemical, Cement Offshore & Onshore Industry, Furnace Areas, Fire Departments, etc. We are long-time established manufacturer, distributor, importer and exporter of Roof Access Ladder. 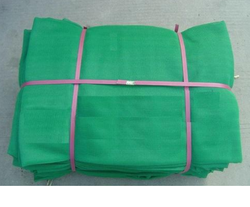 We are the prominent manufacturer, supplier, trader, distributor and exporter of Safety Nets. The main & inside rope is ISI with T.C. This Fall Protection Accessories allows the workers to handle hazardous tasks at workplace with adequate safety. Construction Safety Net finds its application in industries like Power, Energy, Railways, Automobiles, Aviation, Engineering and Construction.